Welcome to my website. 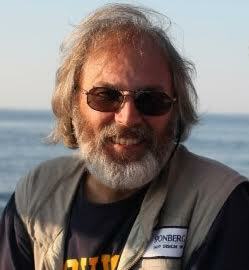 I am Eric W. Sponberg, retired naval architect, once owner of Sponberg Yacht Design Inc., lately of St. Augustine, FL. I am no longer in professional practice, and my old company and website, Sponberg Yacht Design Inc., no longer exists. During my 37 years in yacht design, I became particularly well-known for sailboats equipped with free-standing rigs. I also did some significant designs for powerboats and motoryachts. My final boat design was an ocean-going rowboat for rowing solo, non-stop, across the Pacific Ocean. You can read about the history and development of my boat and mast designs on this, my new website. My wife and I have moved onto our sailboat, Corroboree, and are sailing around the world. If you have reason to contact me for some advice or comment, you may do so through this website on the Contact page. So You Want to be a Boat Designer…? All these and more are available for download in the Articles section of this website. © 2019 by Eric W. Sponberg | Website design by HalfSparkle.